Hyper Universe, the intensely fun action brawler is officially launching on Jan. 17, 2018 for PC through Steam and the Nexon Launcher. Players can download the game for free and experience the fast-paced, stylized side-scrolling action across multiple maps in a challenging 4v4 team setup. 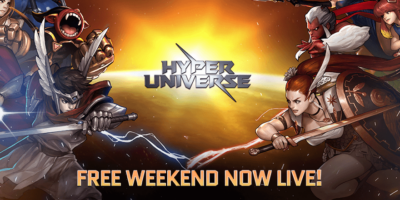 Hyper Universe is entering its final Free Weekend event, and for the first time, is being offered on Steam this Friday, Dec. 15 in preparation for its official launch, giving players one last opportunity to help shape the game. Hyper Universe fans are about to come face-to-face with a deadly assassin who will challenge even the most dominant players. The side-scrolling action MOBA is getting rocked with a brand new martial artist Hyper named Liu, whose explosive kick moves and punishing nunchucks will make his opponents think twice before taking him on. CURSE EYE JOINS THE BATTLEFIELD IN NEW UPDATE FOR HYPER UNIVERSE! Hyper Universe gets a double dose of personality today with the release of all-new Hyper, Curse Eye. Big on personality, this Hyper either provides team support from all sides or becomes overly aggressive and turns enemies into stone. 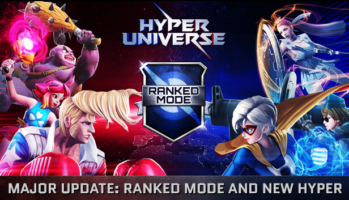 Hyper Universe is rolling out another Early Access content update for fans today, introducing an all-new Hyper – Signal and a new capture the points gameplay mode. The new mode and Cube Bonus Event will be available for a limited time until Oct. 4.